Welcome! Today I’m hosting a spot on the Great Escapes Virtual Book Tour for Confound It, the fifth in the Dreamwalker Mystery series. I’m happy to be featuring a guest post by the author, Maggie Toussaint! Information about the book, including purchase links and a Rafflecopter giveaway will be under the guest post. Have you ever wondered why some people don’t get along? Where I grew up in the country, we knew everyone for miles around. We helped each other when times were tough, we celebrated each other’s joys. Neighbors in today’s crowded world often seem less neighborly. With more people in less space, conflicts abound. The same is true in my newest Dreamwalker Mystery, Confound It. When the call comes in about a victim at the house fire, my female sleuth Baxley Powell accompanies the sheriff to the scene. Bartow Road has few houses on it, but the two neighbors at the end of the road have a history of disagreement. You see, the victim’s pot-bellied pigs are smart as can be. Petunia learned how to open a doorknob at an early age, thereby giving her and her buddy, Patches, an opportunity to venture outside alone. Once free of supervision, the pigs followed their excellent noses next door and up on the porch where a very large sack of premium dog food was stored. After they ate their fill, the pigs waddled home. Neighbor Ricky Dixon is furious about the trespassing and theft of dog food. He paid extra for primo dog food for his champion hounds. This violation of his personal property is completely unacceptable. Even though the victim’s son replaces the food, Dixon can’t rein in his anger. He’s so mad he calls the cops. Now the woman’s dead and her pigs are missing. Baxley and the sheriff must figure out how angry Dixon truly is. Mad enough to stomp around and swear like a sailor or mad enough to take matters into his own hands. If he went into a killing rage, he’s suspect numero uno. Thanks for joining me today! I hope you enjoyed today’s guest post! If you wish to visit other sites on the tour, please click on the banner below! I think, the concept about feuding neighbors in the story is relatable to most people. I grew up in a small town where everyone knew their neighbors. When my husband got employment in a big city in another state, it was a surprise to me that people kept to themselves. So glad to see another book in the Dreamwalker series. Love the cover. 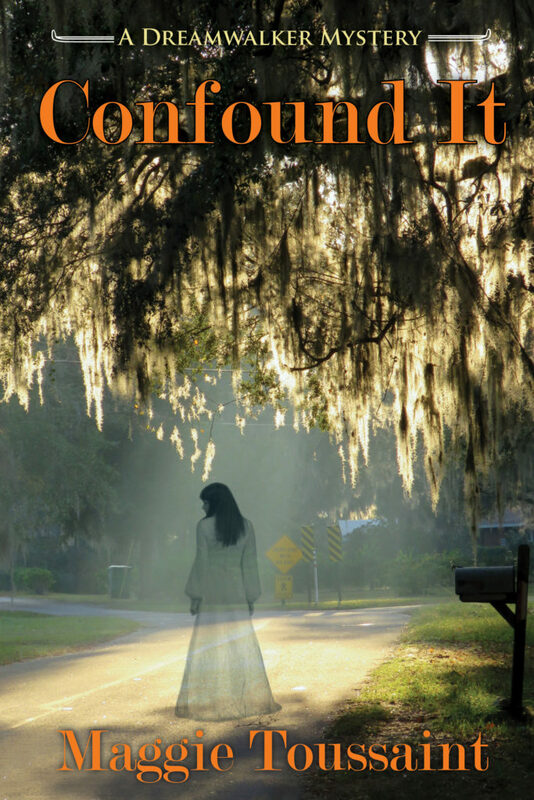 Thank you for being part of the Great Escapes Virtual Book Tour for “Confound It” by Maggie Toussaint. Enjoyed reading the guest post about feuding neighbors by the author. I’d love the opportunity to read this book which sounds like a great read to me.